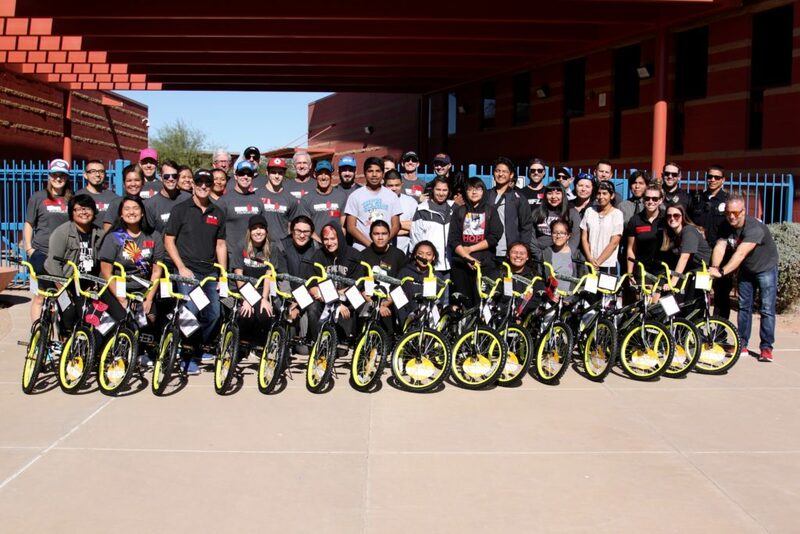 As part of IRONMAN Arizona race week, come join us for a special service project with students from Salt River High school and make tangible impact in our race community. Volunteers at this event will partake in various activities throughout the service project, promoting the importance of living a healthy and active lifestyle. Check out this video from last year’s service project! This project is part of the IRONMAN Foundation in Service Initiative and volunteer spots are extremely limited. Volunteers receive nutrition, hydration, event t-shirt. The IRONMAN Foundation: Creating tangible impact in IRONMAN race communities through grant funding and volunteerism.